1451 Posts Note: Last Updated on Feb. 7, 2014. Yes, it's true. 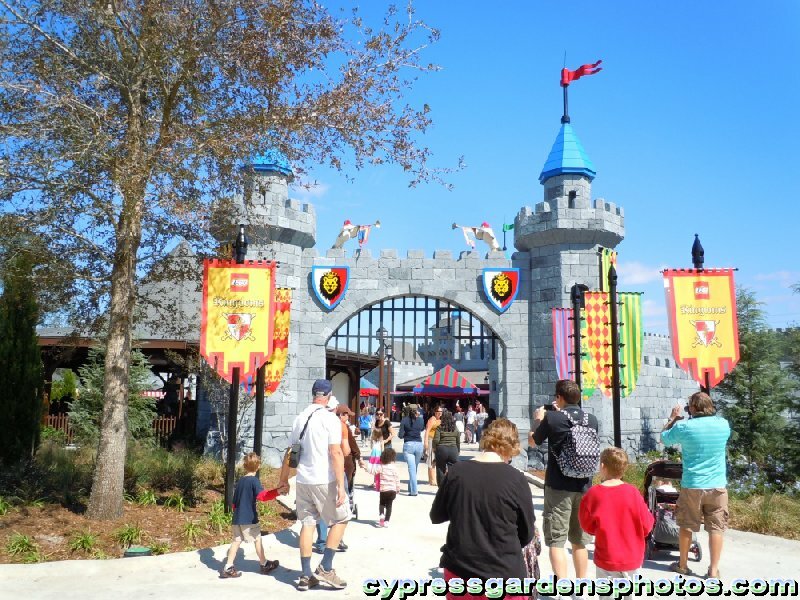 I am a frequent visitor of Legoland Florida! 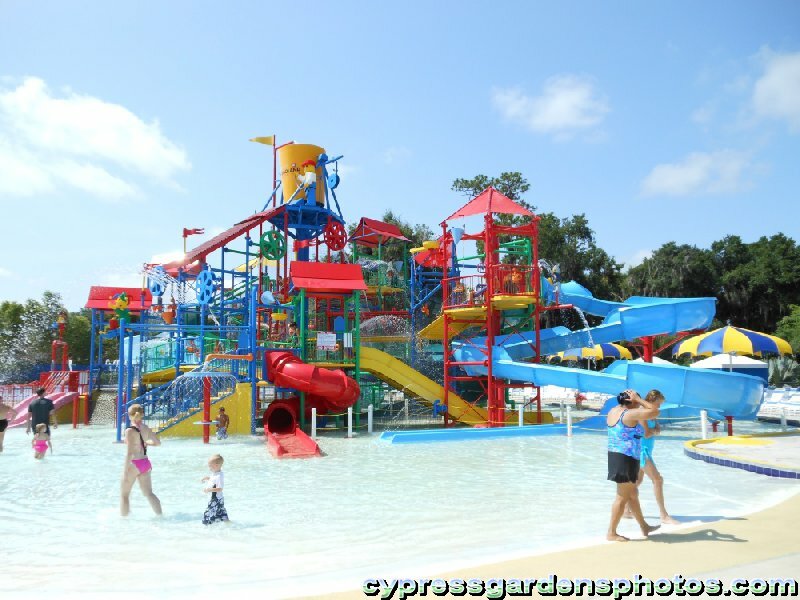 And I've been a frequent visitor since 2005 when it was still Cypress Gardens. So I know a few things about this park, but I'm always eager for more info! So here's my detailed guide for first time visitors. I hope this helps you have a great day at Legoland Florida! Sunscreen, small umbrella (for shade or rain! ), water (they don't check bags), comfortable walking shoes, hand-sanitizer, your pre-printed discounted tickets! Legoland Florida has a phone app that can be very useful, especially at the end of the day when you're trying to find your car! More details here. Also, children under 3 feet tall won't be able to ride very much, so keep that in mind. 1. One thing you want to do is EAT A GOOD BREAKFAST before you get there! Then you can eat lunch beyond the busy times (from about 12:00 to 1:30.) Legoland does not check bags, so you could "smuggle" water, Capri-Suns, and/or snacks for the kids. Shoot, I've seen people smuggle in whole picnic baskets full of food! 2. Ticket prices are $64/$57 for adults/kids. What you will want to do is get a discount! You can save quite a bit of coin by using a promo code. And don't forget to pre-print your tickets! You don't want to spend your first hour at the park in the ticket line. And it does get LONG by 11:00 am. 4. Since you're going to be there all day, why not arrive early? The parking lot opens at 9am, so get there a little after that (no later than 9:30) and you'll have a good parking spot plus access to the park right as it opens. 5. On one of my visits, they opened "The Beginning" early, but not the rest of the park. If that's the case, go straight to the Island in the Sky since it's the first ride you'll see. It'll give you a great view of the park so you'll have a better idea of what to expect. NOTE! DO NOT GET DISTRACTED BY THE *FUN TOWN* MODELS! I've noticed that people tend to ooh and ahh at these models right up front. Meanwhile, other people are skipping past them to get on the rides that will be *BUSY* in no time. You will have plenty of time to take photos with Darth Vader, R2-D2, the pizza guy, the dinosaur, etc. towards the END of the day. Trust me on that. 6. 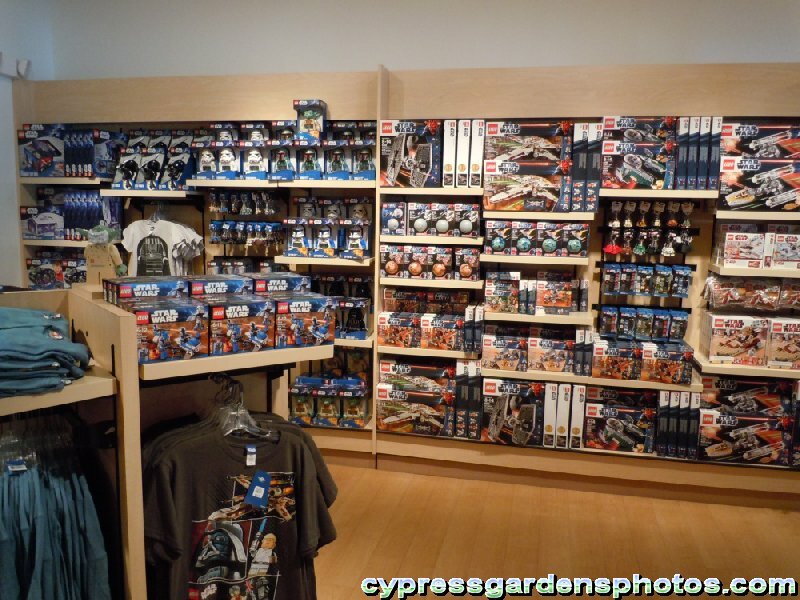 Once the rest of the park is open, head past the Duplo area (which is re-opening in May 2014) and check out the new World of Chima area. You will get wet on the new ride which will make your walk around the park a bit cooler! As for the Duplo area, if you have younger kids, it will be tough to skip past this now, but you can return here at the end of the day since it's close to the entrance. When you're dog tired and want to wear out the kids, this is the place to go. 7. Head over to the Lego Kingdoms area and ride The Dragon coaster. You may want to save the Merlin's Challenge ride for later when it's not busy anyway. 8. 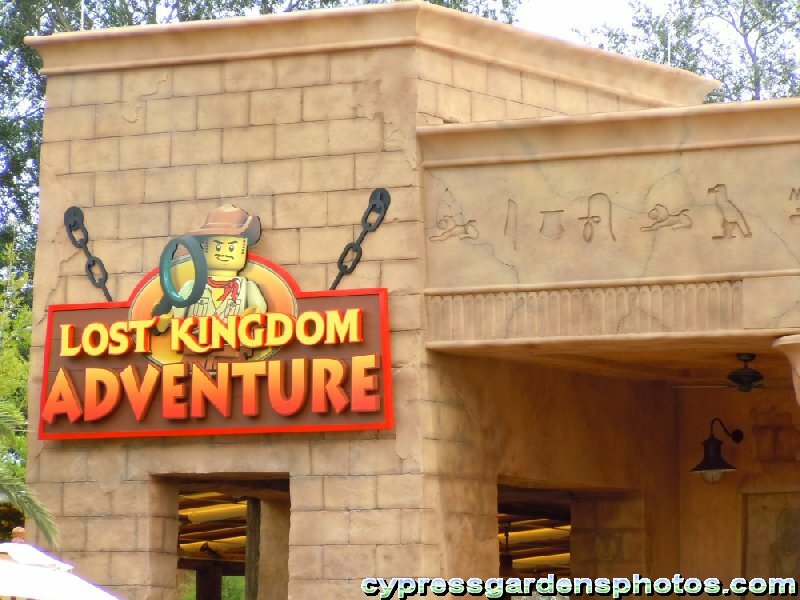 Move on to Land of Adventure and go on the Lost Kingdom Adventure dark ride. It's very popular. Next ride Safari Trek and then Coastersaurus. 9. Lego Technic should be your next stop. Before the line gets too long, go on the Aquazone Wave Racers, which is very popular and a ton of fun! (Go on it twice if you can!) Get on the Project X Coaster next. 10. Go over to Lego City and straight to Boating School (if they don't have all the boats out, even a short line is a long wait) then Driving School (a line just outside the door is about a 30 minute wait.) Afterwards, take the trek to Flying School. Also the Rescue Academy is a low volume ride that builds long lines quickly, so go on that if you want a workout. 11. 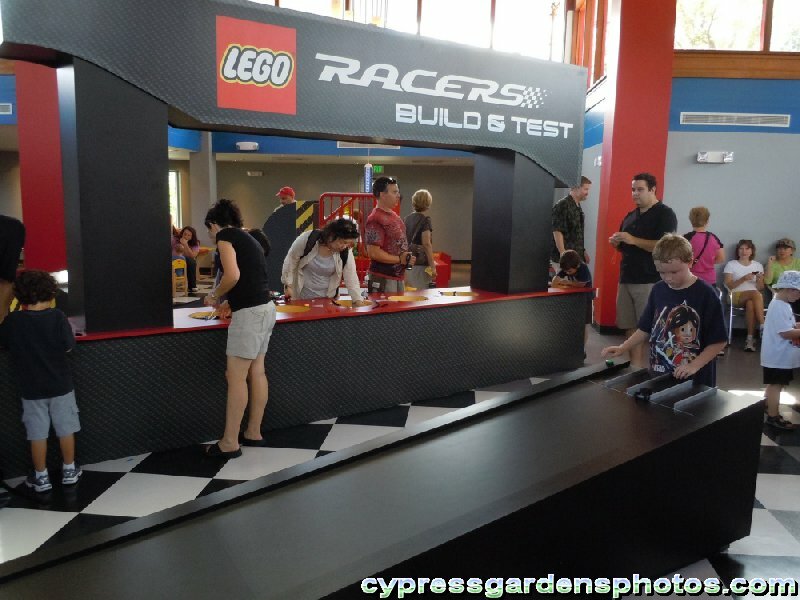 After Lego City, take the kids over to the Imagination Zone to build some cars and race them. This is a good rest stop with (some, not much) air conditioning. Here's a list of menus. 13. Next, if the Ski Show is timely, see it. It's a fun show the kiddos will like. 15. Next you can check out some of the other attractions you might have missed. My son loves the Pharaoh's Revenge play area where kids get to shoot foam balls at each other. The Forestmen's Hideout is another fun play area. Then there's the Beetle Bounce, Royal Joust, Kids Power Towers, and the Technicycle to try out. There's also The Big Test show that is quite fun! 16. Head towards Miniland towards the end of the day. They have some truly amazing models there, but you want to maximize your time at the rides so save this as a part of your exit. 17. Make your way to Fun Town and go to the 4D Theatre and see one (or more) of the three movies they have. They're quite fun and you get a good blast of cold air at different parts of the movie. Clutch Powers is the best, then the new Legends of Chima, and then Spellbreaker. 18. When it re-opens in May 2014, the Duplo area is a good place to rest and give the kids a chance to ride some kiddie rides or play on the playgrounds. Also, capping your day at the Carousel and with some Granny's Apple Fries is a great way to go. 19. 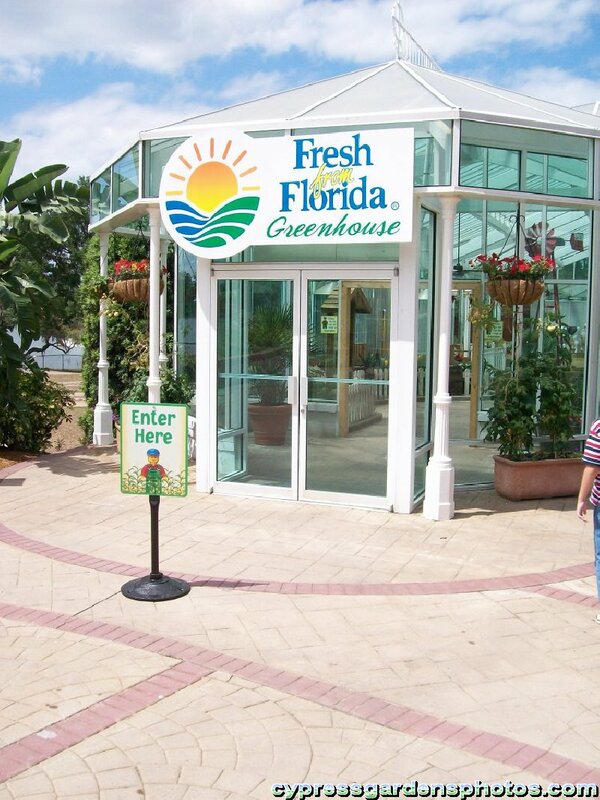 Another relaxing area is the "Fresh from Florida Greenhouse." The A/C is FANTASTIC in here and the kids like milking the cow and checking out the models. It's almost like a bonus Miniland area. Don't miss it! 21. So now is your chance to take all the photos with the characters as you exit the park. See? What did I tell you? They're still there in the same spots as before! You will probably have a chance to see Buddy or Max near the Mansion. 22. If you plan to come back for a second day, I'd recommend REVERSING your plan and start at the back of the park (Lego City and Technic) then you can work your way forward. Also, sign the kids up for one of the Robotics classes at the I-Zone. It's 45 minutes long and they fill up quickly. 23. WATER PARK! Now that the Water Park is open you'll want to save that for a 2nd day. It's definitely a time killer. Legoland offers a 2-day 2-park pass for an extra $20 that makes it worthwhile. As for a guide to the Water Park... Obviously bring lots of sunscreen and footwear. An umbrella might be a good idea too since the park is very short on shade. Check this thread for a further expanded guide to the Water Park. TIP: When battling the line to park, stay in the right-most lane. Seems the other 5 lanes are slower. TIP: If you're looking for a soft drink, some of the retail shops will also have a cooler full of Pepsi products. Check there before standing in some huge food line. TIP: There is a lot of interactivity at the park so it's a good idea to wash your hands regularly. Like other parks thesedays, Legoland Florida offers hand sanitizer at multiple locations all over the park. TIP: Food lines get long at peak hours. Try to eat lunch before 11:30am or after 1:30pm. Otherwise you'll probably be waiting until then anyway. And the Pizza and Pasta place line gets HUGE (because it's a buffet.) But I really think the Fried Chicken Co. Kids meal is a pretty great deal. So there you have it. If you have any suggestions or additions, please post them below! Good luck and have fun at LLF! Visit my YouTube channel for Legoland Adventures! --Guest-- Greg, thank you for all these great hints! I appreciate it,,,, so we know what to expect when we head there later this week! I always like to hear the good and the bad! Excellent guide Greg. 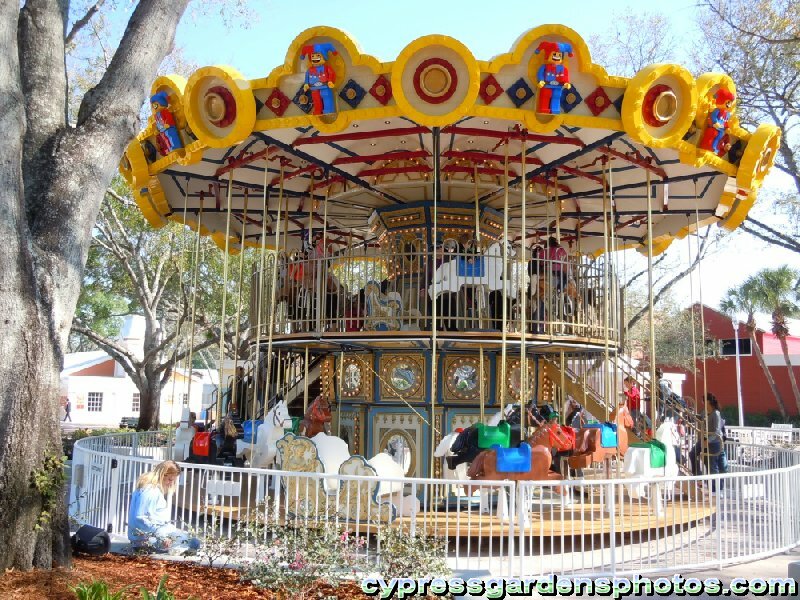 Just a small correction...according to Bert Lacey, one of Cypress Garden's former public-relations directors, the gazebo was made from a used radar dome (the protective cover for a radar dish) and pillars from a burnt-out cigar factory in Tampa. Any tips or tricks you've found going to the park? 93 Posts Greg, I absolutely agree with you about the advertisements in the 4D Theaters... I even know them by heart now! Fortunately, they just removed the one about LEGOLAND opening on October 15, and the Wells Fargo one only runs once now. 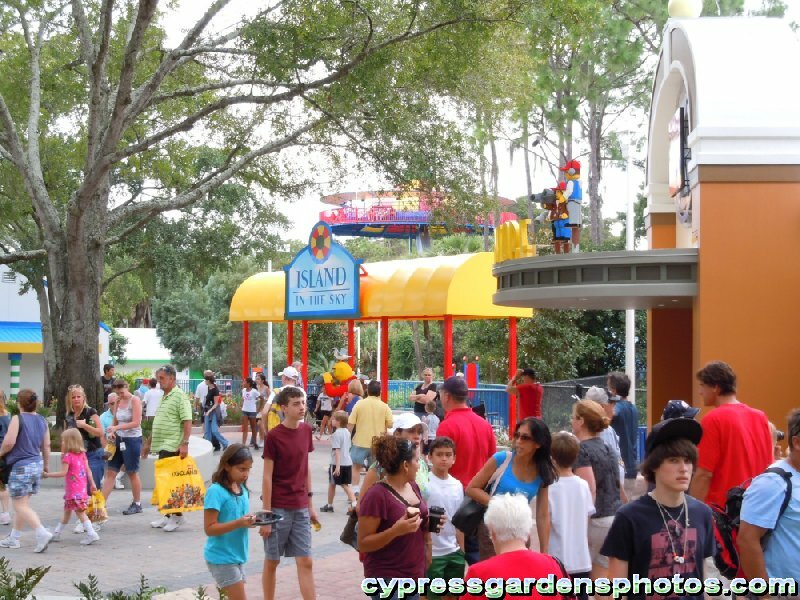 LEGOLAND Florida - a playful World of LEGOÂ® adventures. --Guest-- Yeah, those pre-ads were really annoying after you heard them for the 5th time...people were even clapping when they ended and they started to show the actual movie. It might be a good idea for them to do ads for Merlin's other attractions (Disovery Center, Madame Tussauds, Sea Life, etc.) and show them along with the Wells Fargo ad. They should only show the ads once and then start the movie. The only thing I would add to the guide is to make sure your child is at least 36" tall so they can enjoy most of the rides. Any shorter than this and they'll have to sit out on a lot of things. 1451 Posts So they only show the Wells Fargo ad once now? What about the Legoland Florida ad? Does that one repeat over and over? Agreed, Sean. They're missing out on a captive audience and they could advertise anything they wanted on the screen. Maybe they'll do that once the Florida attractions are being built? They should do more fan stuff like that to spark the kids imaginations! How about this one? Kids would be bolting out of the theatre to buy more and more Legos! 1451 Posts Yep, they have definitely changed the ads before the 4D movie now. In fact, I didn't see either of them at all today! Thank goodness! Another thing to take note of is that Brickbeard's Burgers is more expensive than Castle Burger, but it looks like you get the same thing at either place. Not exactly sure why there's a price difference!? Yep, they have definitely changed the ads before the 4D movie now. In fact, I didn't see either of them at all today! Thank goodness! There is a simple explanation. Brickbeard is an evil pirate who likes to steal from tourists, especially when selling them hamburgers. Where the king from the Castle has stated "Let them eat Hamburgers" and sells them for a discount over his pirate rival. --Guest-- I think he raised the prices to retaliate for having his name misspelled on the park map. 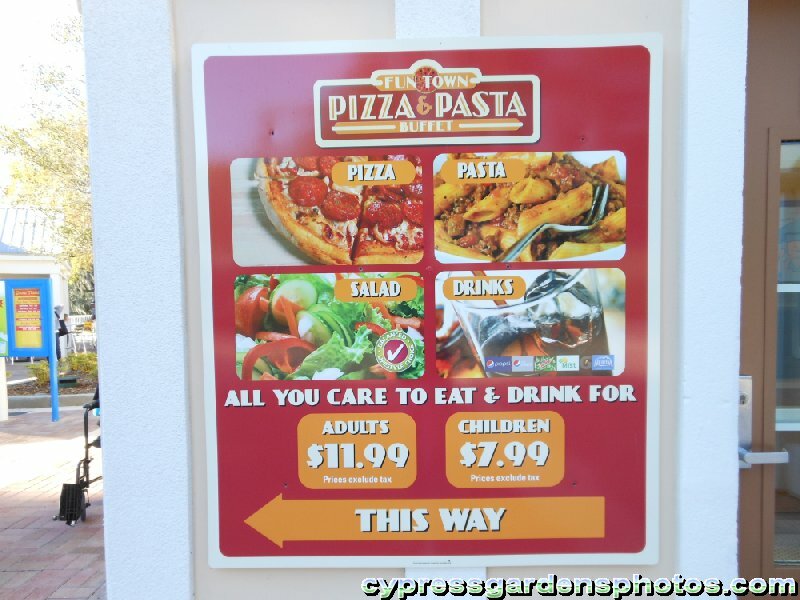 If you look on the back of the park map under the Dining section, they have his eatery listed as Cap'n Blackbeard's Burger. Nothing upsets a pirate more than having to share his fame with another pirate. Arrrr! 93 Posts The only difference is that at Brickbeard's location you have a soft drink included in the price. At the Castle Burger location you have to pay an additional amount to get a soft drink . 234 Posts Those videos were great, and the 8-Bit one makes me want to restore another Commodore 64. Let's hope that new MSAP can pull off one of the greatest homecomings Panama City Beach ever had! The Starliner shall rise again! Those videos were great, and the 8-Bit one makes me want to restore another Commodore 64. Wow, I just had some flashbacks to my Atari game system. I wore those Donkey Kong, Pac Man, and Frogger cartriges out when I was a kid. Life's a roller coaster, so enjoy it while you can with your hands high in the air. Thanks for your kind words! It's appreciated! Driving School does get busy, but one thing it has that many of the other attractions don't: AIR CONDITIONING! Pretty much all of the wait time is inside, so it's easier and there's actually more to do than simply waiting in a line making it go by faster. The first line (inside) is the photo taking, so there's anticipation for that. Then there's the movie that explains to the kids how to drive. Then there's the actual driving itself, so it's broken up. Plus, the MC said that the wait from just inside is about 30 minutes. Definitely manageable if you've already done the rest of the park! You'll never be able to breeze through every line, but if you do the bigger things first (like the coasters, Lost Kingdom and Aquazone) it's easier to wait a bit for the other stuff. --Guest-- Thank you for the useful info, coming up this weekend for my son's birthday. Driving from Palm Beach county, will have to spend a night, any suggestions on where to stay? Thanks! any suggestions on where to stay? Thanks! There are several nearby hotels, it just depends on how much you want to pay. I personally like the hotel right out front of Legoland, the Best Western Park View. It has a nice pool and a pretty good restaurant. And it's reasonably priced. --Guest-- thanks agian, Greg, unfortunately my wife doesnt like the 'pet friendly' hotels (bit of a germophobe). dont mind driving 10 miles or so, as long as its clean, upto $100. 1451 Posts ^ Well, one of the newer hotels is the Hampton Inn at Lake Wales. It's not far from LLF. Not sure if they're pet friendly or not, never bothered to look! The Premium Play Pass is available for $150 for adults and $130 for children and includes one-day admission to LEGOLANDÂ® California, LEGOLAND Water Park (seaonal) and SEA LIFEâ„¢ Aquarium, front-of-line privileges at LEGOLAND California and reserved seating at our shows. These passes are available in a limited quantity on a first-come, first-served basis at our outside Guest Services window. 6 Posts Those are good suggestions. It is different coming to Legoland Florida than going to the gigantic theme parks in central Florida. Be prepared for a more relaxed time and much less stress on your children. I know a lot of people who come early have their breakfast at the Perkins Restaurant right across the street from the restaurant. They have everything from light breakfast to big and they also have pastry and cookies that arn't available in many other restaurants. People like that the Perkins is at the light directly across from the Legoland entrance access road giving them a big plus for easier entrance into the park. I suppose you could also get some takeout stuff for your lunch or snack if you wanted. --Guest-- Wow! Thanks Greg for your very helpful guide. My kids are sooooo excited and it's nice to get an idea of what to expect. Much appreciated!! So no more worries about the theatre! --Guest-- when is the best time of week to visit legom land. During the week or on the weekend?? --Guest-- I have the same question as the post right before mine. In a non-holiday, non summer week, I'm assuming any weekday is better than any weekend day. But which weekday is best - or is one better/worse - between Monday, Thursday and Friday? I know sometimes firld trips tend to cluster on one specific day of the week. What day of the week would you go, if you could choose any? 1 Posts Loving these tips.. We are taking our oldest grandson for his 8th birthday in a few weeks. My youngest son is only 13 and a huge lego fan but we feel the park may be geared a bit more to the younger kids so "Uncle" gets to play the ride parent with the grandson and will get to enjoy legoland even if he is a bit big for it! Can't wait to get down there. 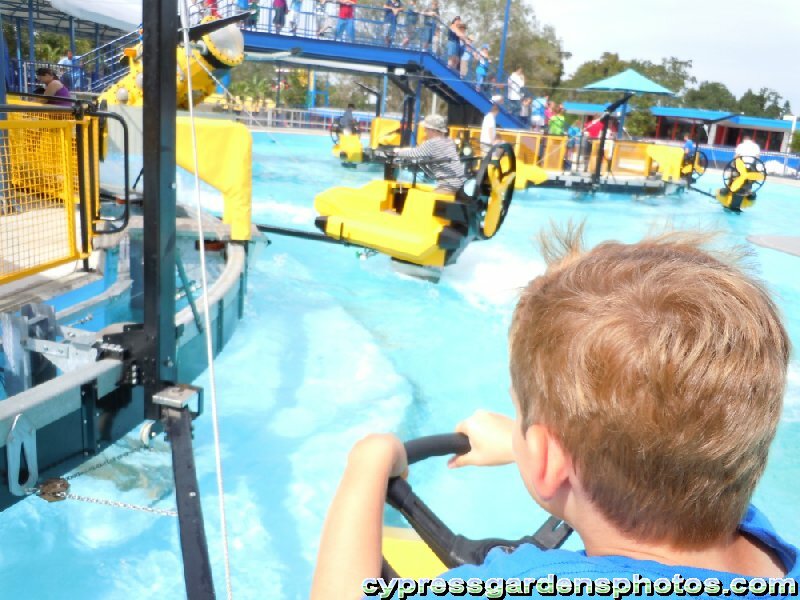 I was less than 10 the last time I was at Cypress Gardens.. Having two sons they never wanted to visit the Gardens.. I cant wait! 1451 Posts School groups appear any time during the week. So there's no telling. Weekdays are definitely slower, probably Monday or Thursday would be best. But really, even when it's REALLY busy you can get most of the park done. Just follow my guide and get the high traffic rides done early. The gardens weren't that interesting to me as a kid either. But when they were threatened to be demolished for condos, I woke up and realized how important they are to Winter Haven (and to Florida.) I'm glad Legoland is around to protect them now, I think they're doing a pretty good (but not perfect) job. Once the Florida pool and the other parts of the gardens are open, I'll give them the "Superb" job status! Anyway, enjoy your time at LLF everyone! --Guest-- If you were going to choose a Monday or a Friday, which would you suggest for "less crowded" day? 956 Posts Other than weekdays are less crowded then weekends or holidays - it is really impossible to accurately guess as to which specific weekday will be the least crowded. Pick one and your guess is as good as anyone else. The 1st week in May is not peak tourist time - any weekday should be fine. 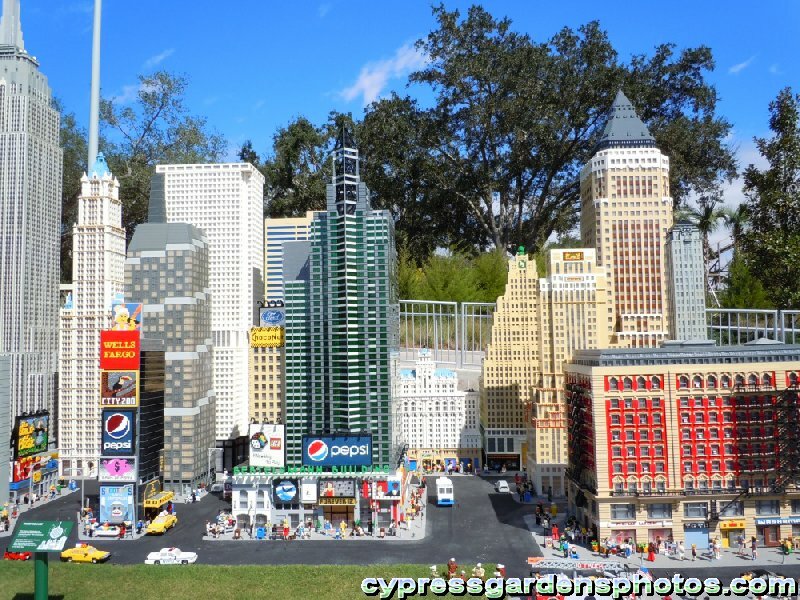 --Guest-- I have two windows to choose from for taking our 5.5 year old boy and nearly 3 year old girl to Legoland FLA (btw, just my son and I went last year early summer and had a BALL!). Hoping you can guide me on which might be the better choice for crowd purposes b/c if we have the 3 yr old in tow, long lines could make or break the day. We could do during the week of our spring break (April 8-12) or during the week of June 2-10. Any advantage of one of those periods over the other crowd wise? Also, consider that the Water Park is opening this weekend (and will be open for the next few months.) Not exactly sure what kind of effect that will have though. Either it will draw crowds away from the main park, or it will load up both parks moreso than the main park alone. 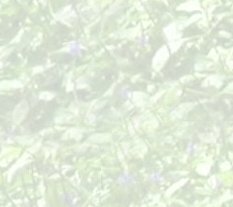 1451 Posts Updated the guide a bit after reading on Disboards that it was old... Mmm... Yeah, but most of the park is the same as when it opened. So, it's still a pretty good guide! --Guest-- My family and I will be visiting Legoland Thursday July 17,2014. We will have two 5 year olds, one 12 year old , one 15 year old and four adults. We have one day. The park is open till 7pm. I was wondering if we could fit the water park in during middle of day and still have time to tour the park? I'm thinking the 15 and 12 year old may get bored and want to spend most of their time in the WP with one sacrificing adult in tow. Or are the few rides that can get you wet sufficient for cooling off on a hot July day? There is always a possibility of rain. Is spending the money on WP ticket not worth it for one day? Can we upgrade our ticket at the park? Nice site. Thanks for posting it. 1451 Posts Well, there are now TWO splash-n-play areas in the park, one at Chima and the other at Duplo Farm (both very close to each other actually.) There is a third one which is the Lego Mermaid statue near the waterpark, but all it does is shoot water once in a great while. 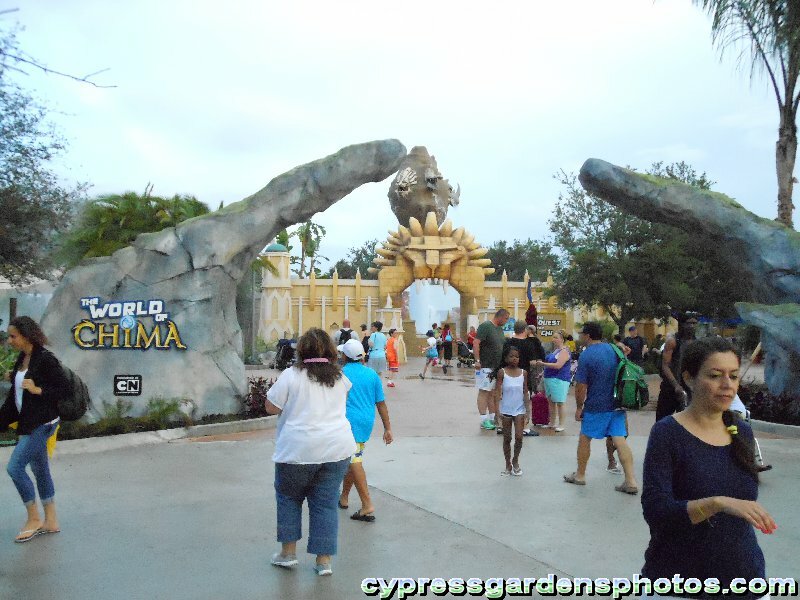 Also, the main Chima ride will soak you. Personally, I think the WP is better for a 2nd day visit. I find that it gets very crowded by the end of the day and therefore it's not as much fun. If you were to do the WP, you should do that first then the rest of the park. But since you'll only be there the one day, I'd say skip it. If you follow the guide in this thread, you'll be able to do pretty much everything before the end of the day. You'd be pushing it to do the WP too. --Guest-- I'm not seeing the Best Western Park View anywhere. Is it still in service? I'm trying to figure out where to stay. The Recommended Hotels link seems outdated. * Hit Island in the Sky first... Why? It has massive capacity and rarely a line. First you should hit something important like Flight School or Coastersaurus for older kids, or Boating School for younger. Things that build big lines during the day. Flight School builds long lines midday and moves slowly and feels hot since it's basically a packed in concrete slab you're waiting on. Note in the plan is says hit the Island first if they open The Beginning early before the rest o the park. And I have seen the Island get a huge line, especially if you are unfortunate enough to come on a day when there are lots of tour groups. And since there is no shade, standing in the line for even 10 minutes can be brutal. In any case, you can hit the Island any time there is no line. But definitely ride it. Especially since it's one of only three in the world. As for the coasters, if you get there when the park opens and stay ahead of the crowd, there will be no waits for any of them. So: Dragon first, Coastersaurus, ProjectX, then Flight School. As I said, in the plan Boating School if you want, but if there are only a few boats out, even a "short" line can take a long time. So get it early. Driving School is much faster and has "some" air conditioning. A line that starts just outside the door will take you about 30 minutes to get to the ride. And I've never seen a line past the door in my many visits to the park. * He suggests you will have ridden pretty much the entire park by lunch. That's not realistic. Island in the Sky, Chima, Dragon, Adventure, Safari, Coastersaurus, Project X, Aquazone, Boating School, Driving School, Flight School, Rescue. That's their 12 biggest attractions in 2 hours, plus do the Imagination Zone where you build cars and race them? Yeah right. Nope, doesn't say anywhere that you'd be done with all these rides by noon or lunch time. What I did say is that by the time you are done (whenever that is) you'll be hungry. And then I went on to say try to eat before 11:30 or after 1:30 which are the peak lunch times. And I also did say to eat a big breakfast so that you won't be hungry at the peak lunch times. Eating big for breakfast will get you past 1:30 at least. Imagination Zone alone can take an hour... you can build cars, or for a little older kids build a Mindstorms programmable robot which is really worth doing if you do not have or build with Mindstorms of your own. It can take an hour if you let time slip away. Of course it's different for all kids. Some might be bored after 15 minutes. Of course, there is also the Games Zone which could also take a lot of time if you let it get away from you. The Mindstorms class can also take a lot of time, so you have to plan ahead. I do agree w his recommendation that the Fried Chicken Co is the best place to eat. You get a big bucket of chicken and sides for a good price that easily feeds our family of 6. Yes, and they are very fast there. I've read many complaints in the past how slow the food service is. But I think they've gotten a lot better. Again, depends on the time when you go. Miniland and 4D theater at the end of the day? Again no. You should do Miniland and the 4D theater between 12 and 3, cuz this is the busiest time. Observing miniland has no waits and the theater is an awesome break from the heat. Same thing w the Imagination Zone. Build there while it's hot / busy or during rain. Typical touring sense applies... hit busy rides first and last, with the middle of the day being for the shows plus the Adventure ride since the queue is covered and moves fast. --Guest-- What is the best time of year to go as far as shorter lines. Also best day of the week. 956 Posts The prettiest amusement park I have ever been to is Bush Gardens in Williamsburg Virginia. If you have never been there, well worth the visit. 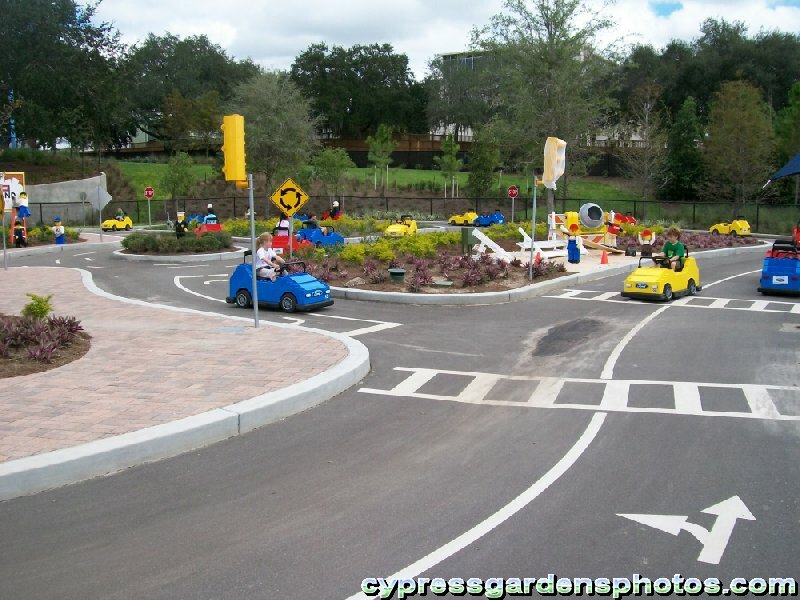 re: Guide for Visiting Legoland Florida! Note: Inappropriate, vulgar, or SPAM comments will be deleted and you will be banned. Disclaimer: This is a fan site not associated, endorsed, or sponsored by Cypress Gardens or any affiliated company.